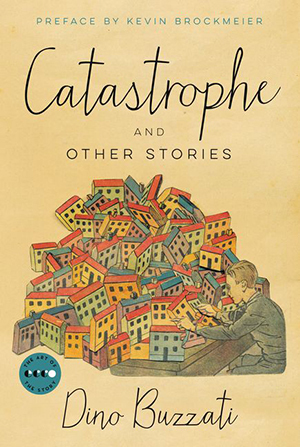 The following is from Dino Buzzati's collection, Catastrophe and Other Stories. With a sense of the fantastical and strange, the stories bring to life the collapse of our known, everyday world. Dino Buzzati was an Italian novelist, short story writer, and playwright. His books include The Tartar Steppe, The Seven Messengers, and Larger Than Life. The Colonel smoothed his whiskers, opened the daily register, read the morning’s notes made by the secretary shortly beforehand and looked up to take the roll call. Eight of the twenty-four desks were empty. “Ahem,” he muttered to himself in his own particular way. One of the decoders in the front row caught his worried glance and smiled at him. The Colonel, who was always pleasant yet knew how to keep his distance, shook his head. The young man’s smile broadened: “If things go on like this, sir, the department will be empty in a couple of days.” Molinas nodded silent assent. At this point Sbrinzel, the absurdly lean and hungry-looking secretary of Department Int (Interception and Troop Movements), came in with the sheaf of messages to be decoded. Despite his modest position Sbrinzel commanded much respect. Some said that he was related to the Minister of Internal Affairs, but this may have been nonsense. Others flatly proclaimed him a spy. In short, he was feared. People spoke guardedly in his presence. The Colonel, seeing Sbrinzel enter, checked an instinctive movement to stand smartly to attention as though Sbrinzel were a superior. Instead, he smiled broadly. Sbrinzel went up onto the platform, put down the file and indicated the desks, a third of which were empty, with a wink. “Well, sir, something of a purge, eh?” For some reasons his jokes were always ambiguous. “Eh, four days! And sometimes four years, eh!” leered Sbrinzel, launching into one of his hateful laughs, dry, harsh and completely lacking in inner gaiety. “Understood what?” asked the Colonel, now faintly disquieted. The Colonel passed a hand over his forehead. And what if I get ill too? he thought. Unfortunately I’ve cursed the Chief at times, as well. How can one repress one’s thoughts? “Eh, a headache, didn’t you say? You’re looking rather pale today, sir, eh!” Sbrinzel gave a vicious little laugh. “Eh, just as well . . . see you later sir, eh?” He went off, cackling to himself. And he did feel ill. His headache had become worse. A buzzing in his ears. Overwhelming desire for warmth and rest. With an effort he opened the file that Sbrinzel had brought. He studied the messages and divided them up. But they swam before his eyes. Under cover of pretending to examine a sheet covered with incomprehensible figures, he took his pulse, using his watch to time the beats: ninety–eight. Temperature? Or just fear? As soon as he reached home he rushed for the thermometer. He kept it in his mouth for over a quarter of an hour. Finally he plucked up enough courage to look at it and was left breathless: 102. “A couple of glasses, certainly no more,” said Molinas to parry the blow. “Gone entirely,” said the Colonel, thoroughly nervous. He put on a show of having a great deal of work to do, scrabbling helplessly amid piles of papers. Sbrinzel did go away, but came back a little while later. He enjoyed thinking up excuses for frequent visits. He would continue with his series of sibylline questions: Why did the Colonel have that scarf around his neck? Was he cold? Or did he have a cough? Slight laryngitis? Molinas continued to defend himself, but he was tired. Sbrinzel’s words echoed inside his head as if it were a bell. There seemed to be a leaden weight at the nape of his neck. Shivering fits. A confined, burning feeling in the chest. Thoroughgoing influenza, in fact. And not being able to mention it to anyone, because that would make it worse. And that wretched spy Sbrinzel, who had obviously guessed that he didn’t feel well and could hardly wait for his final collapse. “The cold, perhaps,” answered the Colonel, determined not to weaken. “Nonsense, nonsense, I say . . . just a slight irritation in the throat . . .” A hundred and two point six, a hundred and two point eight. The Colonel would appear at the office at the usual time with the regularity of a robot, divide the work up among his juniors and then sit motionless at his desk, racked by bursts of hollow coughing. On the fourth day he was almost defeated. “Let’s go out and have a coffee,” suggested Sbrinzel, obviously intending to put him to some sort of test. Outside it was bitterly cold, and the Colonel’s teeth were chattering even in the warm office. On the fifth day he could hardly stand up. None of the juniors with influenza (there were sixteen by now) had yet reappeared. Where were they? Telephone calls to their homes for news were greeted by relatives with the answer “He’s not here” without further explanation. In prison? In hiding? Deported? 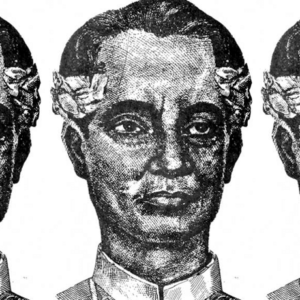 Molinas was certain that he had pneumonia but didn’t dare consult a doctor, who would certainly tell him to go to bed and possibly inform the Ministry. Eighth day. His chest like a pile of burning coals and with a temperature of almost 104, the Colonel entered his office at the usual time. He looked like a ghost. At the thought that Sbrinzel would soon be arriving and would have to be parried he felt a dull surge of sweetish nausea rise from deep within him, rise and rise like the water in a hand basin. But this morning Sbrinzel was not so prompt. Molinas thought, Perhaps he knows I’ve got influenza, perhaps he’s already reported it and I’m already in disgrace, ruined—and that’s why he hasn’t appeared. Shortly afterward he heard steps approaching across the silent empty room. Not Sbrinzel, but some slave of his, with the folder of messages. “And Sbrinzel?” asked the Colonel. The Colonel straightened up on his chair. A burst of life and hope came over him. He was safe, safe! He had won! That miserable spy had fallen, not he! Molinas felt better already, no more sickness, no more burning in his chest, no more temperature. The worst was over. He breathed deeply. For the first time in years he raised his eyes to the windows and saw, beyond the frozen roofs and under the crystal clear sky, the distant mountains gleaming, white with snow. They looked like silver clouds sailing gaily along, slow-moving, above the worries of the earth. He looked at them: for how long had he been oblivious to their existence? He thought, How different they are from us men, God, how pure and beautiful. From Catastrophe and Other Stories. Used with permission of Ecco. Copyright © 2018 by Dino Buzzati.